The farm 51’s military shooter, World War 3 has entered its Early Access phase on Steam. We’ve decided to check out and see if it can match the big guns of the Call of Duty and Battlefield series in all-out war. WW3 is a first-person multiplayer shooter, which revolves around a modern, global conflict between two major sides: the East, based on the Warsaw Pact nations and the Western NATO nations. 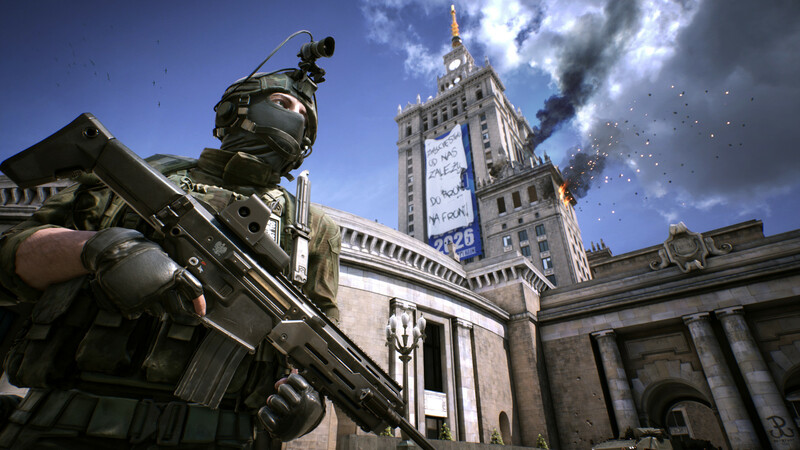 The game is set in different locations, like Warsaw, Berlin, and Moscow, where you fight for control over the map. The better you perform, the more bonuses you gain that can help you turn the tide of war. Each map ends up under either Western or Eastern control depending on the overall achievements of all the players fighting. 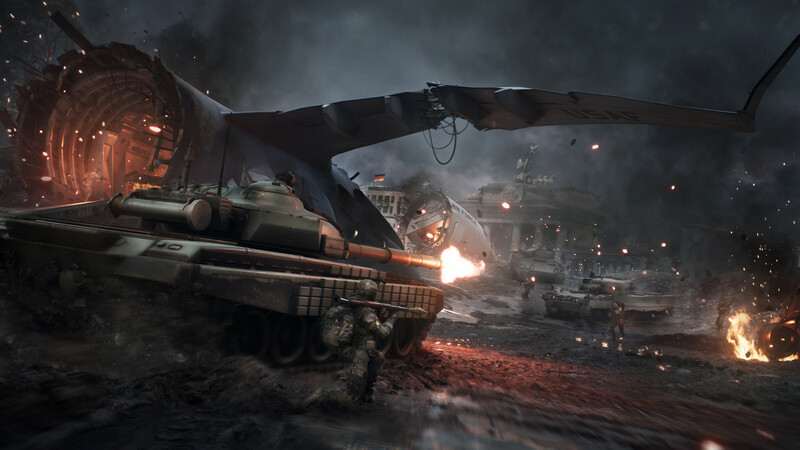 World War 3 tries to appeal to the same niche as the Battlefield, Arma, and Call Of Duty franchises, but with an added emphasis on team-play. The matches are chaotic, the enemy might fire at you from anywhere, and without proper teamwork, you won’t last long. All it takes is a couple of minutes before you understand how vital team-play is in this game. It’s almost impossible to spot enemies between the rubble and bomb-out buildings, so going solo will most likely result in you being killed. You need a good balance of shooters, spotters, and defenders if you want to make it out alive (not to mention as the winner). The difficulty of spotting enemies is actually the main problem I had with the game. Enemies can come at you from a lot of different directions, and you won’t always be able to spot where a shot came from, even if you survive it. Yes, it’s realistic enough, and it’s also a big problem in real-life firefights, but it completely kills any changes you have of enjoying the game on your own. Thumbs up for the graphics and realism, but a thumbs down for the impact on gameplay. The second ingredient in World War 3’s formula is realism. Maps are based on real-life locations, and uniforms, vehicles, and weapons are all designed after existing ones, including all the customization options and attachments. There’s also a “bullet vs. armor” system that helps determine the amount of damage you can deal an enemy. Developer The Farm 51 has partnered up with military consultants to achieve the most realistic experience possible, with accurate physics and ballistics. As a former soldier who saw his fair share of conflict, I’d say they got the shooting right. Shooting and gunplay are arguably the most important thing in an FPS, and WW3 does an amazing job with them. The trajectory of the rounds feels real and doesn’t behave like that of a thrown object, with a proper horizontal trajectory rather than a gradual decline. On the other hand, the bullet vs. armor system has issues that still need to be ironed out. Heavy rounds sometimes inflict less damage than standard assault rifle rounds, and I don’t care how much armor you wear – a shot to the face should be lethal 100% of the time. Early trailers and videos of WW3 show the ability to customize your soldier and weapons during the match, but that’s not a real option in the game. Having said that, the customization options themselves are insane, as you can customize literally everything. When picking a gun, you can decide on the sights, the length of the barrel, and what kind of grips, markers, flashlight, and magazine to use. You can obviously customize the paint job. Besides guns, you can customize your body armor and helmet, and choose what level of armor you’d like, from heavy armor, which provides better protection but slows you down, to light armor that offers more maneuverability but at the risk of taking higher damage. You can also decide what your character will look like with different uniform, helmet, and face paint. 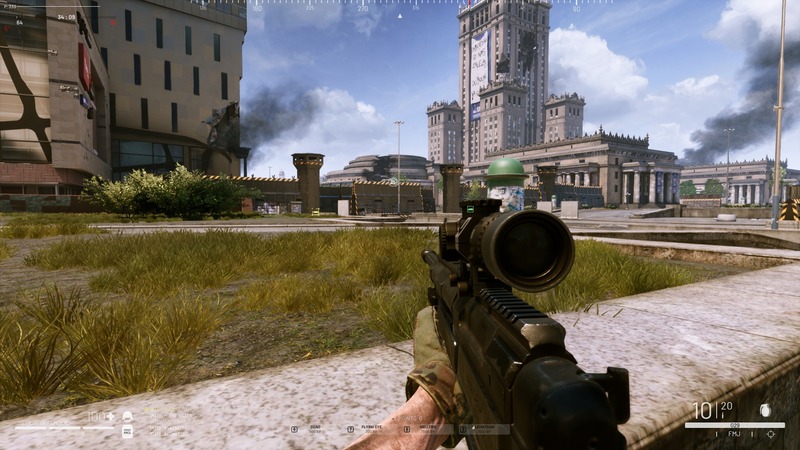 World War 3 brings a unique style into the FPS genre and has terrific potential. The gameplay is overall fun and allows for many different game styles to co-exist in each team. However, it is still a bit rough around the edges. 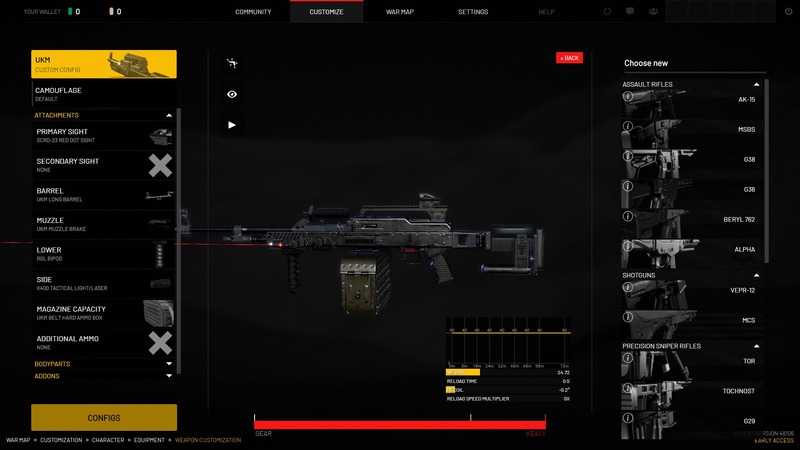 There are still issues that need to be resolved, such as the small number of weapons available for the player to choose from (although a lot of customization available), unbalanced vehicles and the bullet vs. armor mechanism. However, this being an Early Access game, most of those issues can be easily fixed.